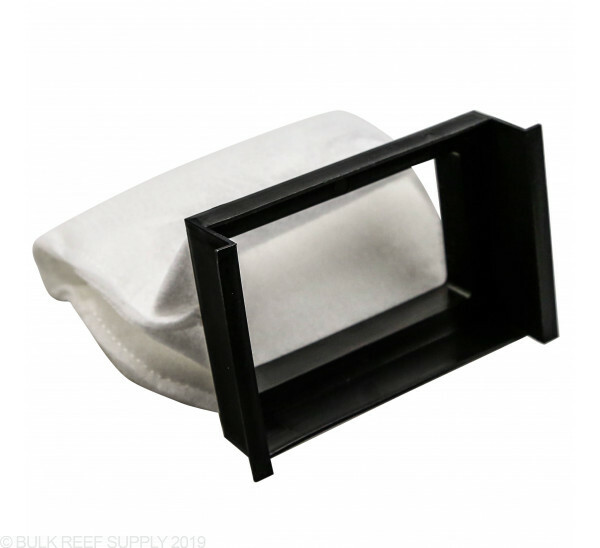 Innovative Marine has created their own custom molded filter socks that fit their Nuvo and Fusion line of all-in-one aquariums. 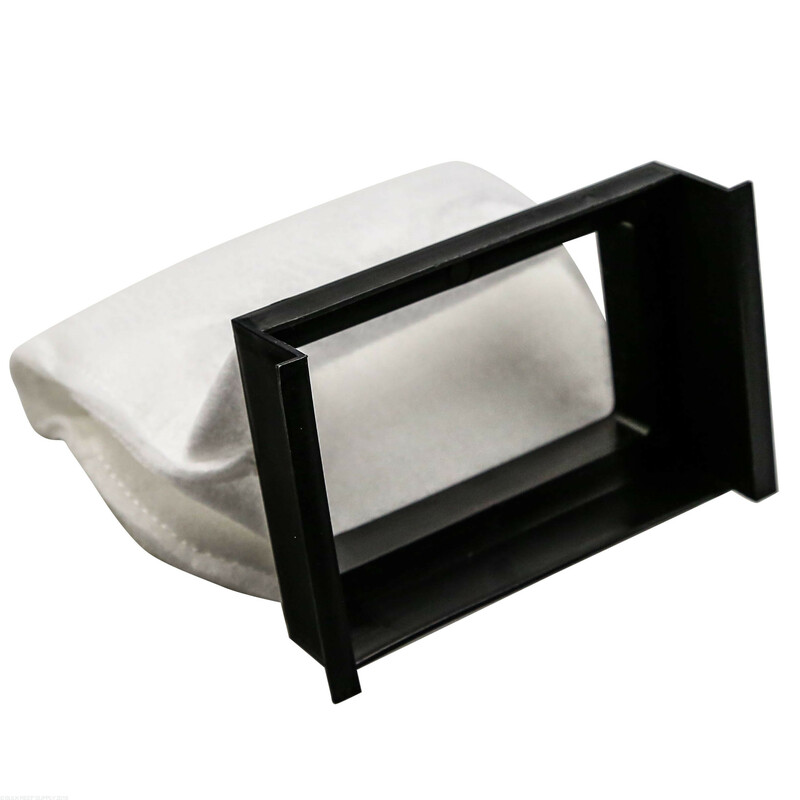 The filter socks hang perfectly in the flow of water coming through the weirs to keep detritus from getting trapped within other filtration components, as well as polishing the water for a crystal clear display. The molded hangers simply sit on the rim of the aquarium for easy installation and removal. Filter socks are a great way to polish the water and export nutrients at the same time. For best results we do recommend changing out filter socks ever few days, to keep the detritus from breaking down and turning into nitrates. Between filter socks and running a good quality carbon in a reactor crystal clear water is easily obtainable. Filter socks are molded directly to the hanger and are not replaceable. I use these on my 45 gallon rimless JBJ tank with great results. they polish and clean the water, I change mine every 2 days. easy to clean with garden hose, inside out and return to tank or soak in bleach over night clean with clean water air dry and good to go! I love the socks. Sure you have to change them often but you get clear pristine water. I have six socks right now, planning on getting two more. I've had these socks now for four months. Still going strong. I first thought the construction on the filter socks to the plastic hanger would separate over time. I've have no problems turning them inside out washing them in the sink. Reverse water flow though the socks with hot water cleans the socks without sticking them in the washer. Every now and then just let them soak with a couple of tbsps of REGULAR bleach in a gallon of water (RODI). Rinse and let them dry. Sure you have the up front cost but they last a long time. I have an IM Nuvo 38 gallon tank. The included basket system is junk...so just get that out from day one. No really, leave it in the box. I had originally replaced the baskets on both sides with bioballs for their ability to fill the chambers halfway and biological pass thru. I had these topped with bonded pad cut tightly to catch detritus and the pads were changed weekly. This worked well enough, but I always had an issue with my nano fish and pipefish going thru the slots and dying due to stress and suffocation on the bonded pads. So when IM introduced the socks and the small fish guards I ordered both from BRS. The guards have worked great keeping fish out of the back, but yes they have to be cleaned every so often (like everything else) and due constrict flow. As for the filter socks. I'll take one star off because they are very dense at 200 micron and will begin to overflow in my tank by day 3. This would be a simple fix for IM because I prefer the socks to both those lame baskets and even my DIY bioball solution. For now tho, I simply change the socks every two days and clean once I have six dirty. This of course requires several pairs which is costly upfront. My first concern in making this investment was the quality of the socks over time...would they hold up to cleaning? I throw six of them at a time into the wash machine with hot water/bleach only for a cycle and then another cycle of Declor (1/4 cup). The socks then go sit in the sun for a day to dry. Been doing this for years with my larger reef. As for the sock quality they have held up just fine after 6 months of use. Cleaning twice a month in the wash. So I agree they need to change the micron size and I'd even like to see them a little longer as I like to toss my carbon and GFO bags in there too. These work great for about 48 Hours and then get clogged, allowing water to bypass the socks. 200 Microns is just too small to be effective.